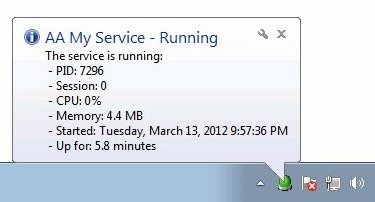 Do you need to keep tabs on an important Windows Service? Is there a service that you constantly start and stop? 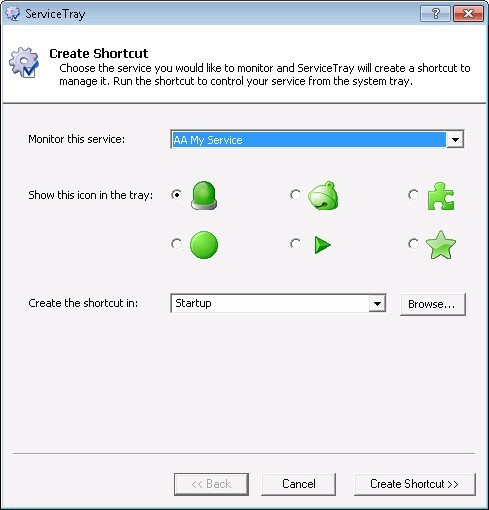 Why waste time opening the Services Control Panel application yet again when you can do everything quickly from a tray icon? 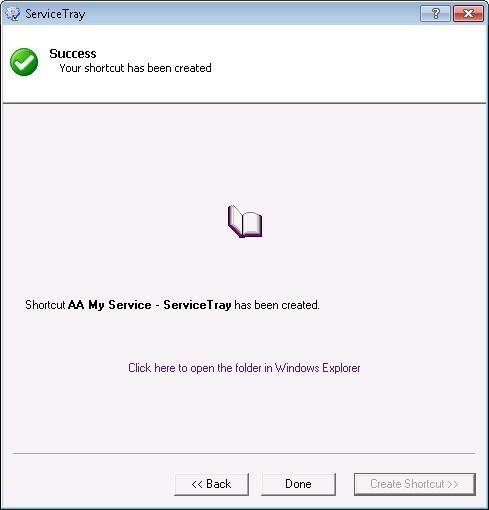 ServiceTray will save you time by placing any Windows Service at your fingertips. For example, start your service with two clicks of the mouse. But perhaps most important of all, ServiceTray was designed and implemented by Senior Software Engineers with over 20 years of real-world experience developing robust, mission-critical applications. Our software is of the highest quality, and we stand by it without reservation. Select the service you would like to control. 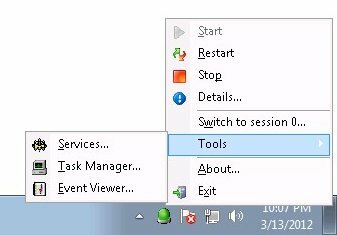 Choose the icon that you would like to show up on the taskbar. Select the folder where the shortcut should be saved. 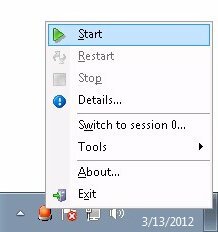 Specify Startup to place the shortcut in your Startup folder and have Windows start it whenever you log in; specify Desktop to create a convenient icon that you can manually launch. Or you can enter any folder you like. 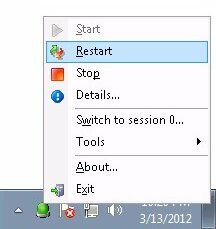 If you created the shortcut in Startup, Windows will start ServiceTray automatically when you log on. Otherwise, double-click on the shortcut to start it. The icon's color will indicate the service's state. Green means running, red means stopped and yellow means transitioning (starting, stopping, etc).